While the construction cost is only one single component of the total cost of a project, it is no doubt a significant one. 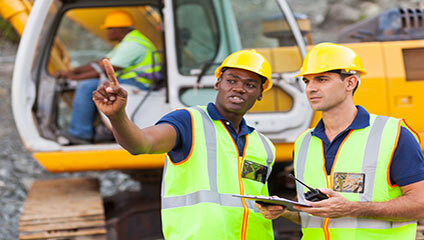 It is also the only cost that is under direct control of the construction project manager and so estimates can help guide its adequate development. There are different types of construction cost estimates. These are mainly categorised on the functions that they intend to serve with their accuracy varying across the stages they are conducted. Since at the early stages much reliable information is not available, estimates tend to be rough approximations. As the project progresses and more details become clear, the accuracy of estimates increases accordingly. These estimates are made by contractors who wish to secure the project and are based on the estimation tools at their disposal. Apart from construction specific costs, these also include expenses related to onsite supervision and operational costs and profit margins. Based on the type of the project and the manner in which it will be managed, these estimates usually are arrived at through a combination of subcontractor estimates (in projects where tasks are further delegated), quantity estimates and assessment of construction procedures. These are typically an established base for both the owner and the contractor to keep in mind while the project is underway to keep check on finances. A control estimate can be revised as more information and onsite work becomes apparent. The detailed estimate is usually a baseline for the owner as it is available much before an engineer’s estimate with the contractor relying on the bid estimate to keep track of the project.